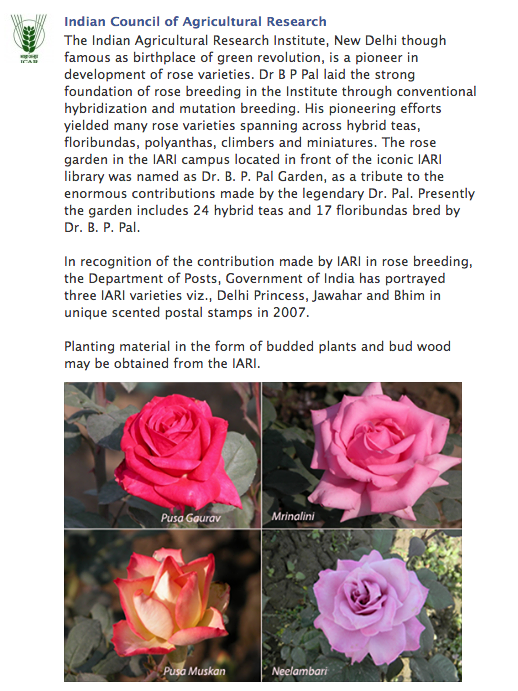 So one of the many new things I learned during my recent trip to India, and which I thought would make a nice piece here, was that Indian breeders are hard at work improving ornamental flowers in general, and the rose in particular. Now, as luck would have it, ICAR has just posted something about this on its Facebook page, so I don’t even need to think of anything clever to write about it. I love it when that happens.